Before we begin, I would like you to take 10 minutes, carefully listen to, and watch Yundi Li’s performance of Chopin’s Scherzo No.2 Op.31, one of my all-time favourite piano pieces…and one I still fear even ATTEMPTING to learn and interpret on a technical and creative level. From a completely personal standpoint, the performative essence of the umbrella term ‘music’, has become damn near impossible to pin under just its main sensual association within contemporary media…or perhaps it was never MEANT to be pinned under ‘just being a hearing stimulant’ when it comes to entertainment and expression, since music has always been a multi-dimensional tool, meaning and narrative interpreter and transporter of information in cultures worldwide. But some of the best examples of music becoming increasingly associated with and being judged from more ‘readily accessible’ sensual perspectives, came from the our most recent century and 16 years. Aren’t music meant to be ‘listened’ to? Then, shouldn’t it be judged on the basis of hearing as its primary expressive form? As I slowly observed the pop entertainment industry from a purely consumer perspective (with a few toes dipped in the creator standpoint, as I began studying Media, PR and Advertising in my major bachelor degree), I’ve begun to figuratively and instinctively map out sensual responses an average individual may have when consuming or being exposed to media material, be it a movie, music playing on the stereo, a music video, a trailer for a film or game, or just a 15 second advertisement. Without boring you with specifics: for whatever reason, whether it be on an basis of enjoyment, critical verdict or just general registering of any signs of stimulation, the visuals form the centre core of almost all sensory recallings and as the basis for reactions: in other words, our eyes are our most trusted sensory tool. Whether this has been proven in psychological studies or not are totally out of my knowledge base, so I will have to stand by this conclusion, based on my own gradual observations. Hell, you might’ve already casually assumed this as gospel, but my point still stands, especially when it comes to critiquing: what we see gets judged the most furiously, it’s what we first register and the first score to be chalked onto the board. Try listening to ‘Happy’, without visualising Despicable Me or the cheesy dance numbers from the music video. The main framework of interpretation I struggled to get around understanding or comprehending, are the notions (my own, as usual), that an average consumer may actually judge a piece of music based on what VISUALS accompanied it, or, at least base their first impressions on a visual accompaniment…the rhythmic and lyrical intricacies seems to take a backseat when it comes to determining how ‘good’ or ‘worthy of trying’ a song or piece of music is…everything from the accompanying music video to even the album art. Needless to say, to some extent, even I have succumbed to this jumble of senses at times: I recently picked up a Jazz compilation album from the ‘New Releases’ section of the store, just because the album art had that stylish modernist vibe, with flat colour blocks depicting jamming musicians with music notes floating all around a vinyl-inspired background. Even more bizarre: I have an almost obsessive need to properly equip my digital music collection with high-def album art, just so my music player look somewhat stylish. Hell, I find myself more likely to be PLAYING tunes from albums with art designs I like the most. And to think my phone’s screen is usually turned off or on some other application when music is playing, makes this decision influencer all the more nonsensical. As billboard toppers become increasingly saturated, music videos accompanying artists’ single releases became synonymous with the songs themselves: a visual medium of excess; where cinematic flow and visual coherence are replaced with random pampered scenes and visuals with no sense whatsoever; has become the staple of music’s place in pop culture entertainment. Pop music genres have become increasingly buried under the visual spectacle of the performance, and there are certainly examples of it on both ends of the spectrum, when it comes to the poetic sophistication of pure performances, such as the simple set ups of a single singer with a guitar or a lone pianist, or the crude overblown nature of Broadway hit concerts: smoke machines, multi-coloured light shows and confetti included. Everything in between may equate to the gigantic ventures of the more organic nature of live orchestral performances, which is a topic that will be brought up later. Call me crazy, but I think the album art made the music sound better. As the publication extends further from this discussion, the narrative focus will start to divert itself into the classical realms of music. Fair Warning: Spoilers are in full force from this point onwards. No discussion of the source material will be present. If I were to throw my readers in on the deep end, I better start with the most obvious and glaring holes of the Piano no Mori’s narrative construct: though clearly a fantastical manifestation, the suspension of disbelief doesn’t seem to have retained its presence when it comes to explaining or at least alluding to, why the piano in the forest only responds to Kai’s playing. 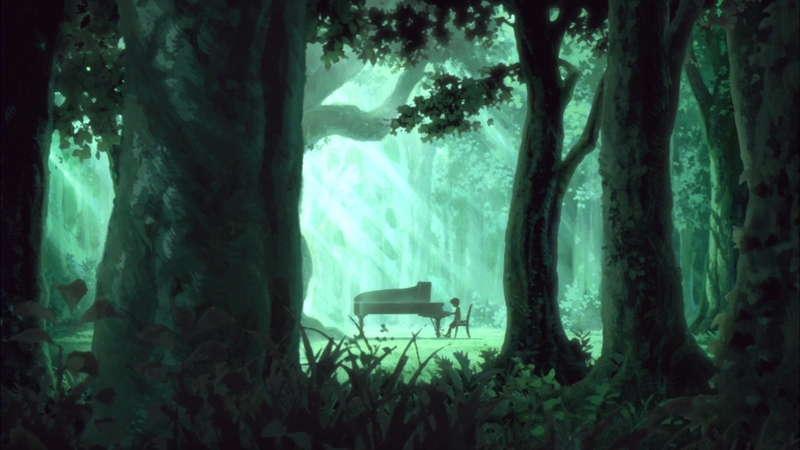 Furthermore, this plot point failed to serve any thematic purpose in the overall tapestry of the story: this mysterious ability of Kai to play the forest piano (or the piano’s magic allowing only Kai to play) served little purpose in his character, nor did it affect any of his companions in any meaningful way; or at least in a way that can be achieved without the magic element. One could argue that the forest piano served as the genesis for Kai’s love for music, but the film’s idiotic attempts at sowing in a realistic reason for the forest piano’s existence (apparently the retired music teacher left it there to rot many years ago, before Kai discovered it) has really soured the entire taste of goodwill: Kai fell in love with music, because a tragically injured pianist has abandoned his own; perfectly normal; piano (well…the pianist/music teacher was able to play it fine before) in the forest, and when Kai turned up and found the damn instrument, it’s MAGICALLY allowing only Kai to play it?! Naturally, the problems start with the other main character: Shuuhei. What the hell was the point of him? The premise sold him as a technical prodigy in piano, and Kai is directly set up as an free-form inspiration source for him, as he learns about the expressive freedom of music. However, other than the few moments of admiration, Shuuhei’s development is stagnant; his art form and final performance remained unchanged from where he started. At the same time, his impact on Kai remained painfully minimal as well: neither myself nor did Kai see any real need to draw inspiration from Shuuhei’s style of playing, other than his conventional work ethics and flawless technique. As an aspiring artistic practitioner in potentially multiple mediums; from writing to photography; I’ve always regarded creative individuality as the definitive requirement above all other qualities, when it comes to exploring my artistic identity. Other characters weren’t immune to this issue either: Kai’s development remains relatively bland, as he slowly adopts a mindset to actually work on his talents. Oh, there’s also a subplot about a shy girl pianist who’s jealous of Shuuhei’s skill, but finds the confidence she needs to perform, by…imagining she’s patting her dog (she found a substitute by patting Kai’s similarly coloured hair) while playing. I suspect that the source material manga digs more deeply into these characters, but the film does a poor job at selling their presence. There are a tonne more issues I had with the film, like the lack of context provided for the main characters’ families: Kai’s mum is hinted to be a late-night waitress who’s also…dipping her toes into other more vulgar businesses, but those elements were never brought up, nor did they seem to bother Kai at all. Shuuhei’s family was practically non-existent. But for the sake of interest, I will move on and talk about the real-life story beats that Piano no Mori tried to dramatize, how the piano and the performance manifests themselves as unique events, and where multiple channels of audiences experiences music through different scopes of observations and mediums. Circling back to the opening video of the Chopin performance: I hoped that by starting the readers off with an experience like this, it can help frame my angle of discussion, when it comes to how individuals consume music; more specifically piano performances; nowadays. The traditional setup of a concert hall, where the stage is occupied by one lone figure, is subverted when the multiple camera perspective broadcast medium artificialized and closed the distance between the audience and the performer: the suspended perception of reality and the emotionally mediative state that pianists submit themselves to whilst performing, can now be directly observed by the onlookers. The performance is no longer just about the pieces anymore: its about building that connection with the audience through the hard-to-grasp rhythms of the human performer, how they manifests their emotions into the instrument, and what their bodily and facial expressions tell us about the their musical personalities. In that sense, Piano no Mori’s portrayal of Kai’s final performance at least had something interesting to say, even if its core messages were nothing new. 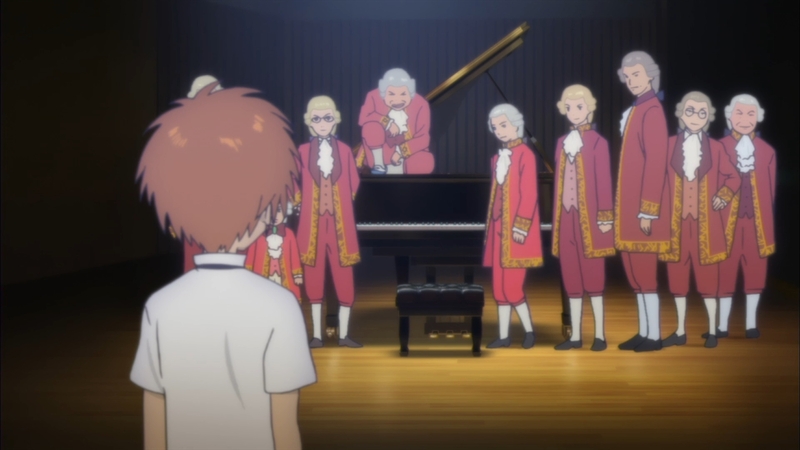 In the unforgiving world of music competitions (as well documented in anime as something can ever be), the ever-present conflict between youthful reinventions and loyal conservations of the composer’s ‘original intent’ is a rather longstanding one that has intrigued me immensely throughout my years learning the instrument. Which brings up the question: who decides in the choice of winners in a competition of music? The loudness of the applause, or the box-ticked approval of the official judges? In Kai’s case, during his final performance in the piano competition, the film throws the viewers into a cross-existing realm, showcasing his inner interpretation of the conflict between the upheld legacy of the composers’ music, and his own desire to make the performance his own. In a rather interesting twist in portraying the above-mentioned conflict, during the first leg of his performance, Kai is technically flawless: he followed the sheet music with reasonable accuracy and managed to maintain a consistent tone with the piano. However, inside Kai’s head, he’s battling with his mind’s imagined avatars of the composers, who seemed to berate him for being an imperfect copycat of their work. In other words, in complete contrast to the typical reasoning of the most conservative of piano competition judges, the composers’ ghosts-of-sorts are not happy with watching their pieces replicated without re-imagination: a perfect copy of the composer’s original intent with the music is impossible, since the performer has never met; nor will ever be; the composer nor his perfect twin. Unsurprisingly, the gloating composers threw Kai off his groove, and the playing stopped, immediately sealing off any chance of him making it past the competition round. However, the stubborn boy kicked off his sneakers, pushed away the restraints of the chair, and resumed playing with bare feet and with his eyes shut. The battling visuals between the concert hall and the forest where Kai’s special piano resides begins to showcase the creative freedom he has finally achieved, as he ends the last leg of the piece with unashamed gravitas. The message here is obvious: own the performance, and the music will flow at your will. If anything else, despite the well-trod messages that the film is selling, I find myself very much enamoured by certain moments in the forest: the magical imagery of a piano in the forest; however well it was utilised to its full cinematic effect or not; is one that would very much encourage some active imagination from my part. What the film lacked in substance, it very much made up for it with some very interesting depictions of ideas about the relationships between legacy and creative freedom, and various technical aspects, for which I will shower praise upon later. (Though I’m still pissed, that they didn’t bother animating the grand piano’s exposed string hammers when the characters played it). And that concludes the ideas I had, when I decided to dissect my thoughts during and after my experience of watching Piano no Mori. My rather extensive passion and interest in classical music and the piano, has prompted me to look beyond just the surface-level details of the film, and look further into the sociological impacts of the additional mediums that has changed music’s identity in entertainment and creative communication. As a film, it didn’t impress me, but as a instrument of reflection and expression, the film had instances of emotive resonance that did reach me. I hoped you enjoyed this little musical journey with me. I implore you to scout the post thoroughly for links, as I took this opportunity to showcase some gems that I enjoy on a regular basis. (Yes, there’s also one for Eurovision, since I do find Pop songs that I like). Additional notes: Speaking of musical gems, I would like to give a shoutout to Keisuke Shinohara‘s efforts in composing the score to the film. With the renowned skills of the Czech Philharmonic Orchestra, the score is tastefully organic and fully orchestrated, with incredible moments of grandeur and many instances of lyrical grace. 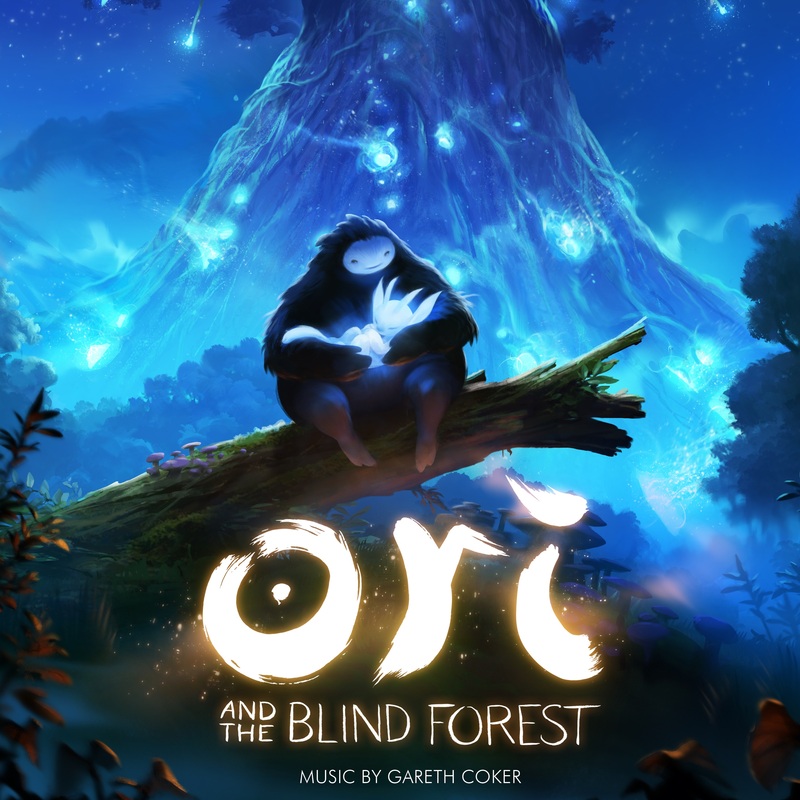 Check out both the piano version and orchestral version of the main theme (Kai’s piano theme). Certainly some of the best music ever written for an anime film in the 2000s, with an original piano piece, that every anime-loving pianist would love to learn. You can sample/purchase the hour-long album here. I’ve heard of this movie before, but still have not found the time to watch it for myself. Anyways, I do have reservations on recommending the film to you, as its flaws are numerous, like I pointed out. However, if there’s anything that you absolutely need to experience, its the soundtrack. As far as I can tell, the soundtrack album features a tonne of great music, that weren’t even featured in the film. Nice post, must watch this movie. Do you play piano? Yes, 15 years and counting. Also, I THINK you missed my verdict: I didn’t actually enjoy the film and consider it a must-watch: I appreciated its various artistic merits, and its soundtrack. Though I suppose, maybe the way I talked about it made you interested in the film, so…go ahead! I hope you enjoy the film. because of spoiler warning i didnt read full post. I think i will watch it first then read the post. I am learning piano for a month now, so i am naturally intersted in movie about piano. But i have few Q. First i am 18 years old now, can i learn piano to the point of mastery? I like to master what i am learning. Secondly how much time should i practice? now i practice only an hour a day because i do not own piano, so i have to practice in class. but i can easily practice 3-4 hours a day. thirdly, can i learn piano without a teacher? I live in india so there are no good piano teachers. And fees are also very huge, I am currently being teached trinity colleage portion, it it good?. Ok, reality is, starting at the age of 18 is a definite handicap: your hands kind of ‘settles’ once you reach young adult age, which makes it harder to master new coordination-specific skills. But that only means learning at a slower pace, with enough years, you can play as well as most. As for time, at your skill level, one hour is more than enough. After a year, once you’ve settled learning piano scales and the basic terminology, switch to learning pieces, and boost your daily time to around 2 hours. A teacher is highly recommended, but you don’t have to visit weekly: have him/her give you guidelines and recommend you pieces, if your learned the terminology (you can find plenty of practice sources online for musicianship or just scale practice exercises), you can learn the music by yourself. I recommend having a teacher for the first 2-3 years, or until you’ve mastered the basics: which means being able to read most sheet music without help, after which, you can learn on your own. Just keep finding and learning new pieces, eventually, you will be able to learn the most difficult pieces. Also, remember that learning hard pieces might take you thousands of tries, stuck on the same bar, and months of work. (Made a stop at Hong Kong, so a quick reply.) Thanks for the recommendation, I’ll be sure to check it out. Glad you liked this piece! I really must watch this! I don’t watch anime films as often as episodic series, that’s why I rely more on recommendations when it comes to anime films compared to regular anime series that I usually discover myself. It’s unfortunate that I can’t comment on the specifics of the film since I haven’t watched it, but I want to voice out my agreement with your statement that over-the-top theatrics are drowning the music today. It’s such a shame really. So called “music-lovers” today are relying more on their eyes rather than their ears. Great post. Keep it up! Considering that this film covers only about a quarter of the whole story, it’s hardly surprising that some elements seem insufficiently fleshed out. I can assure you that the manga is far more satisfactory in this regard. 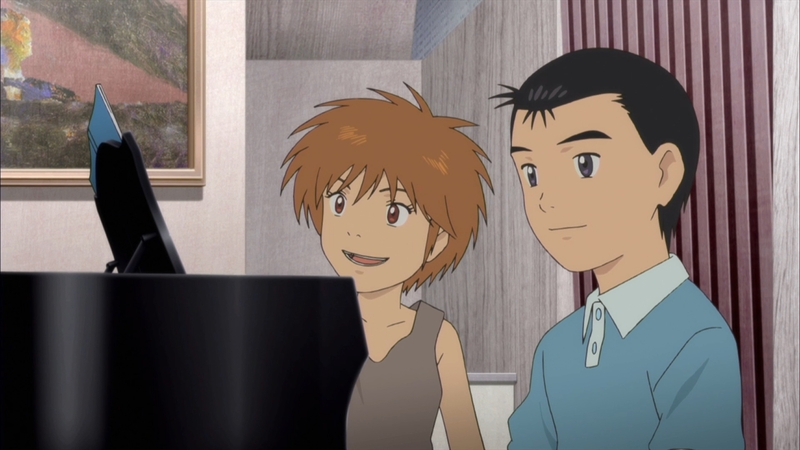 As for the supernatural element of the piano that only responds to Kai, I’m happy to take that as a little magical element, and not complain – though it’s also worth noting that in the manga it is explained that Ajino had had the piano action modified to be much heavier than normal, such that a typical pianist would struggle to play on it (and conversely, Kai has to learn to adjust to a normal lighter touch). There is now (well, the broadcast will complete on the day I’m writing this) an anime adaptation of the whole story, which will appear on Netflix shortly. It is better than the film for the reason of covering the story to the end, but is disappointing in the amount of stuff still left out (e.g. the entire story of Kai’s girlfriend and how he won her round after some people had put her off him). It’s good-looking, but the animation of piano playing in the first half is not as good as it should have been, and in the second half they’ve given up trying, which is very frustrating. The film used Chopin performances by Ashkenazy. 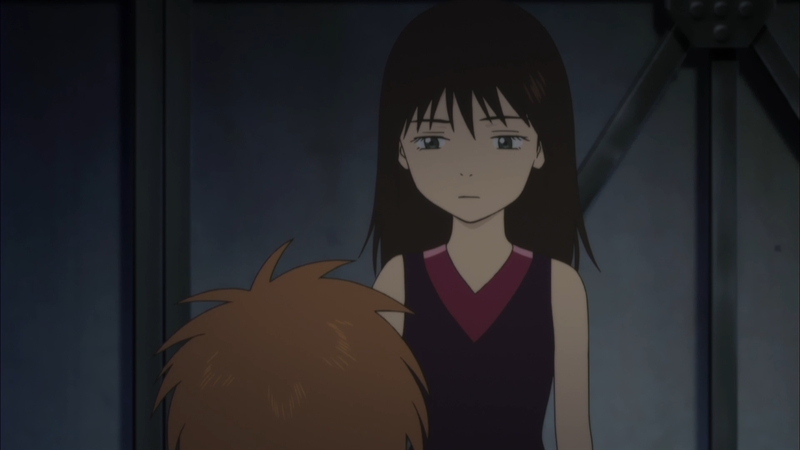 But the anime uses a raft of lesser-known (but superb) performers, a different one for each character, and of the same nationality and gender (so they have a Chinese player for Wang Pei, a Pole for Lech Szymanowski, and a French woman for Sophie Ormesson, with different Japanese for Kai and Shuhei). And in the early part of the story, they even used teenage players for the school competition (the only one which the film represents).